The Nerd Queen Journal: Bunnies everywhere! Ta da! It is my 15th post in the Nerd Queen Journal series of all the conventions I’ve been to! God knows how many Nerd Queen posts I’ve written by now, probably in the 70s or 80s, maybe half of the 200+ posts I’ve written. 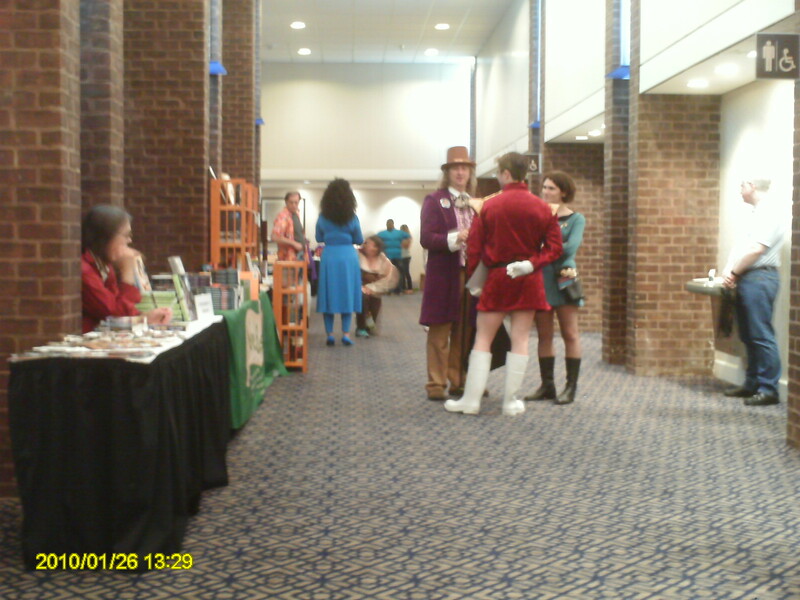 It was also a very special time because it was Shore Leave’s 39th year. Next year, they will be at 40 years. Which means my dad will have gone to this convention for 40 years, starting 10 years before I was born in 1978. That also means I’ll be 30 in a year and a couple weeks from now. I’m not happy about turning 29 this year, or 30 next year. Not one bit. I want to be 28 FOREVER!!!!!!!!! Well, that’s not going to happen anytime soon. Author Bob Greenberger told me, “It’s just a number.” I guess I’ll have to stick to that. For Shore Leave’s 39th year, we had a semi big crowd, though not as big as last year when Karen Gillan “Amy Pond/ Nebula” came to our convention. The big Star Trek guests were Michael Dorn, who played Worf, and the woman who played Counselor Troi in Next Generation (and also Deep Space Nine for Dorn). 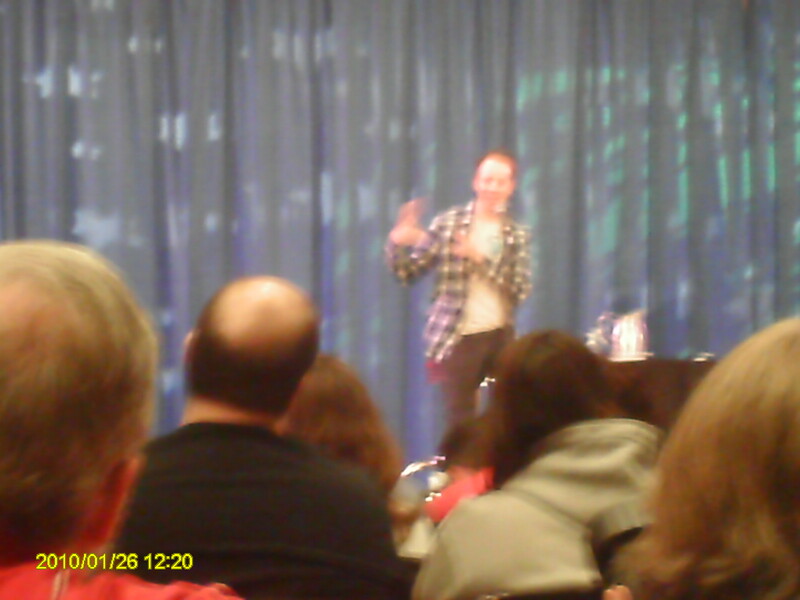 But the major nerd gathering for panels was when Kevin Sussman came to talk- better known as Stuart, owner of the comic book store in California, from Big Bang Theory, one of the top 20 fandom shows of all time, movies or TV. Kevin Sussman isn’t really a big name from that show, but he is in on the series, for you see Sheldon, Howard, Leonard and Raj entering a comic book store more than once every season as they check the stacks for new toys and comic books. There was even a scene where Sheldon challenges Wil Wheaton to a card game and loses in the comic store, with Stuart the shy, awkward nerd who owns the store at Wil Wheaton’s side. But Sussman was anything but shy and awkward. 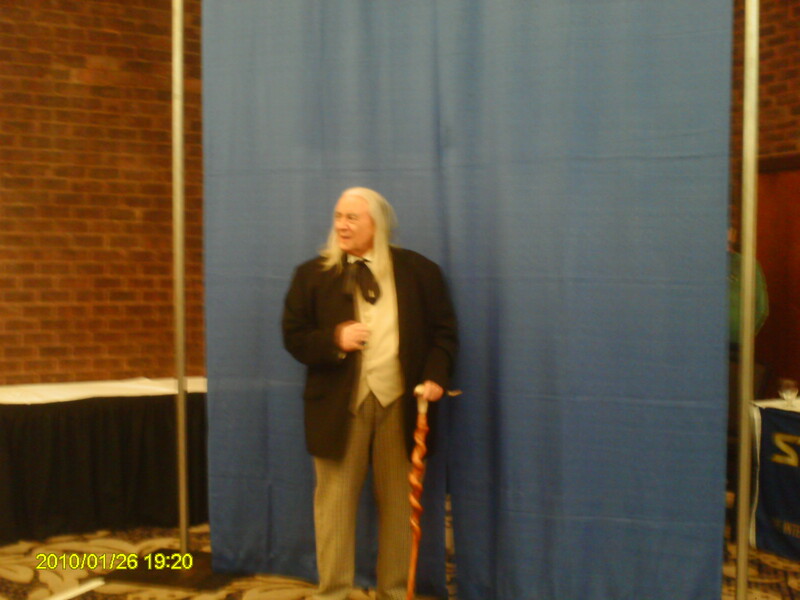 Though it was his first convention, I think he had a good time than just signing autographs and answering questions at panels about Big Bang and Burn After Reading. He’s really good friends with the cast of the show, and though he’s never met Stephen Hawking in person, he used to work at a comic book store in New York, which got him the part of Stuart. He was very cheerful and awesome with everyone, and he liked the fact that I wore a Rock-Paper-Scissors-Lizard-Spock shirt on Sunday. He also said he met a person wearing a Soft Kitty shirt and he never heard the song, so he had to ask what show that was from. (Shakes head) He eventually got the joke, as it is the song Sheldon made famous in the show whenever he was “sick”. And a Harley Quinn with a baseball bat, looking for her puddin’. However, I couldn’t help but notice that there happened to be more than one Harley Quinn running around the convention. There was one dressed head to toe in red and black and she had a great big mallet. 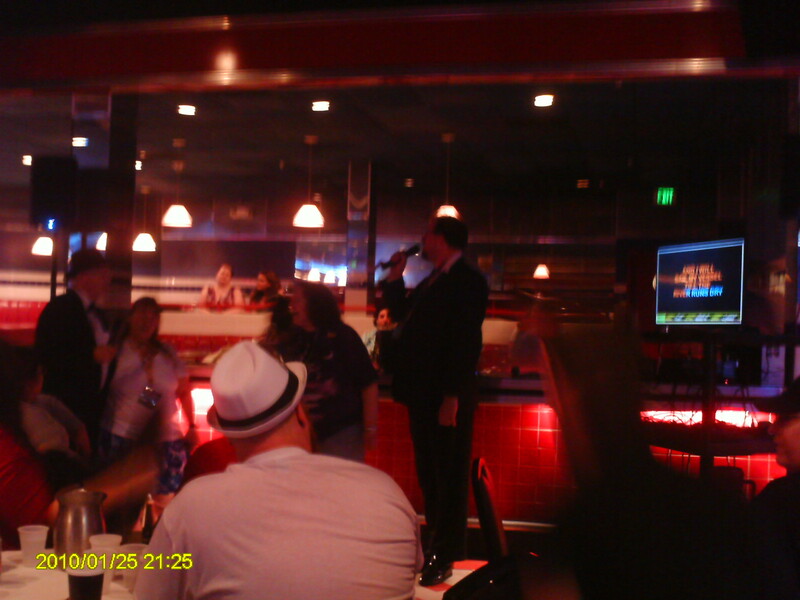 And karaoke was quite fun on Friday night, only it was a little sad, because the main karaoke host who started Vic’s Place, Mr. Lee, announced at Farpoint that he had cancer. According to a post on Facebook, this year’s Shore Leave may be his last convention, because he isn’t responding well to chemo or radiation and things do not look good. The good news was, he was well enough to make it to this convention and his dear karaoke friends wore yellow ribbons to show their support to fight his illness. There were so many people wearing yellow ribbons that night, including me. Mr. Lee was so overwhelmed with joy, he cried. And someone sang a song dedicated to him, telling him he can be a cancer survivor and we’ve got his back. I do hope he can fight this to see another birthday and another convention, unlike what happened to my dear friend Robbie Greenberger, Bob’s son, when he had leukemia. Well, that wraps up another convention! See you next year for an update on Farpoint! Sweetie, I am not writing about your convention concerning ponies and, ahem, Bronies. 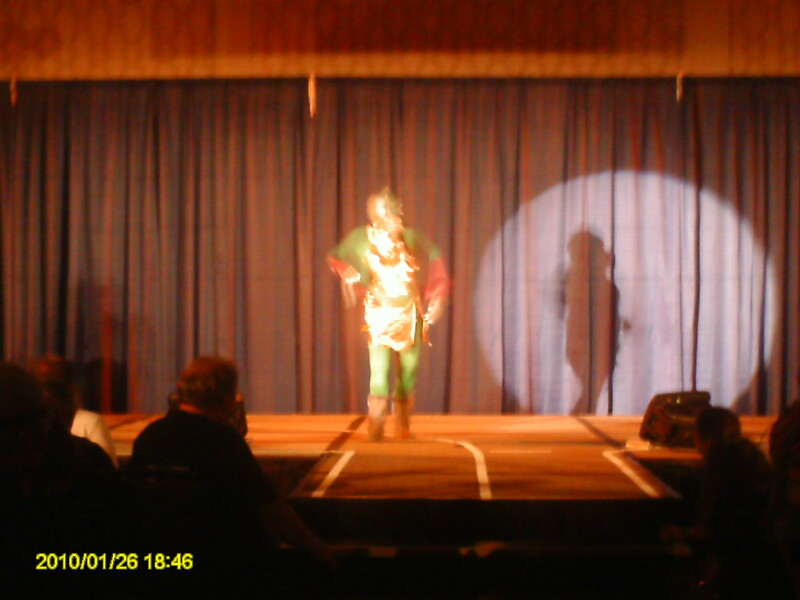 There will be another Nerd Queen Journal in August about Brony Con in Baltimore City. Though I am not a Pony fan, or “Brony” as some people call them, I will be writing from the hotel of what’s to come… and I may be wearing a dress with a pinned “Cutie Mark” on my skirt at the Galloping Gala. I don’t like the thought of it, though. But I do love dancing, especially ballroom dancing, and I’m doing this to make my boyfriend happy. This entry was posted in Authors, Blog, Conventions, Fiction, Humor, Inspiration, Literature, Memoirs, NaNoWriMo, Nerd, Reading, Science Fiction, Writing, Writing Therapy and tagged Camp NaNoWriMo, Camp NaNoWriMo July, CampNaNoWriMo July, Lady in the Blue Box, NaNoWriMo July, National Novel Writing Month, Rachel Ahrens on NaNoWriMo, Rachel Beth Ahrens, rachel beth ahrens fiction and more, rachel beth errands, rachelbethahrens, science fiction conventions, science fiction conventions MD, shore leave 2017, shore leave 39 bunnies 2017, shore leave 39 kevin sussman, shore leave 39 nerd queen, Shore Leave convention, The Nerd Queen. Bookmark the permalink.